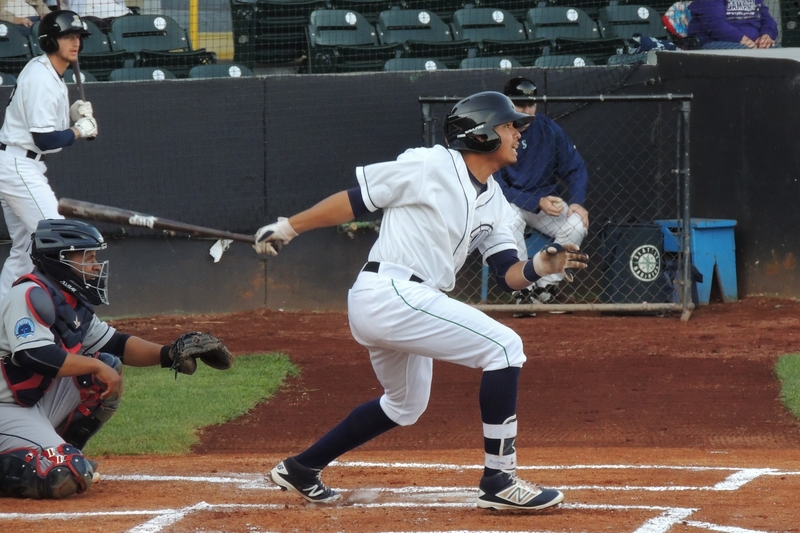 The Clinton LumberKings roster includes three players ranked by Baseball America among the top 30 Seattle Mariners prospects. Middle infielder Bryson Brigman (No. 22), a 2016 third-round draft pick, played for the Everett AquaSox of the short-season Northwest League last year, his first as a pro. He batted .260 with 19 RBI and 17 SB in 68 games. Fun fact about Brigman, courtesy of Baseball America: He was the first player to play for three different USA Baseball championship teams. The third ranked prospect on the LumberKings roster is RHP Brandon Miller (No. 25). He performed well in the Northwest League last season, going 4-2 with a 2.72 ERA, 51 strikeouts and seven walks in 56 innings/14 games/13 starts. You can see the entire LumberKings roster here. The LumberKings have a whole new coaching staff this year. You can read about them here. This entry was posted in Clinton LumberKings, Everett AquaSox, Midwest League, Northwest League. Bookmark the permalink.